The Twelfth Annual Heroes Of Conscience Awards. 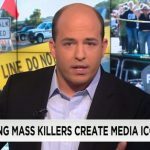 Every year, we present our Heroes of Conscience Award to those whom we believe have done the most to defend western values and bring awareness to the threats faced by our civilization, and who have somehow, in some way, paid a price for it. This year, we are proud and excited to honor two remarkable people, Catherine Engelbrecht and James Damore. 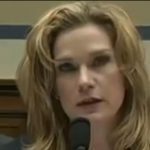 You may remember Catherine Engelbrecht, the Founder and President of True the Vote, from the relentless attacks on her and her organization by the Obama adminstration’s IRS, FBI, OSHA and many other agencies. 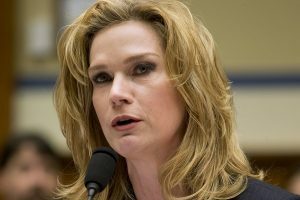 She is, in essence, the poster child of the Left’s weaponizing of government agencies to target and destroy individuals, and what she and her family suffered, only because they wanted voter integrity for all Americans, is an outrage. AFA is delighted to celebrate her, her work and her integrity. 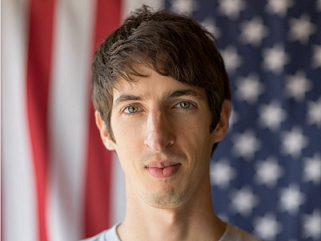 James Damore, of course, is the author of the “google memo” that spoke nothing but the truth, but the consequences of this honest yet un-politically correct memo unleashed a torrent of hate and loathing and, in fact, cost him his job. We are also proud and delighted to be presenting the American Freedom Award to Trevor Loudon whose passion, dedication and persistence have done so much to uphold the underpinnings of this nation and to fight against those who strive, relentlessly, to damage them. 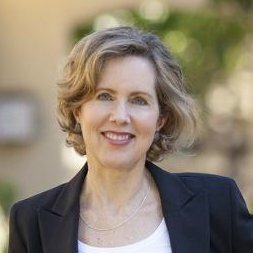 And we are beyond delighted to have Heather Mac Donald as our Keynote speaker! A fierce, brilliant and courageous truth-teller, Heather Mac Donald herself is no stranger to the silencing tactics of the Left, and has demonstrated her own mettle time and again; we couldn’t be more pleased to have her capstone the event. In addition to the dinner, there will be a patio reception at 6PM for VIP ticket holders and sponsors. 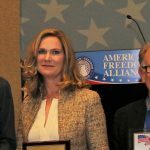 They deserve the recognition and honor; thank you to the America Freedom Alliance. 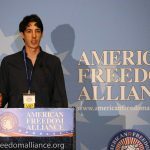 Trevor Louden spoke at an ACT for American meeting in a Cleveland suburb a few months ago and received a standing ovation for his message and integrity.